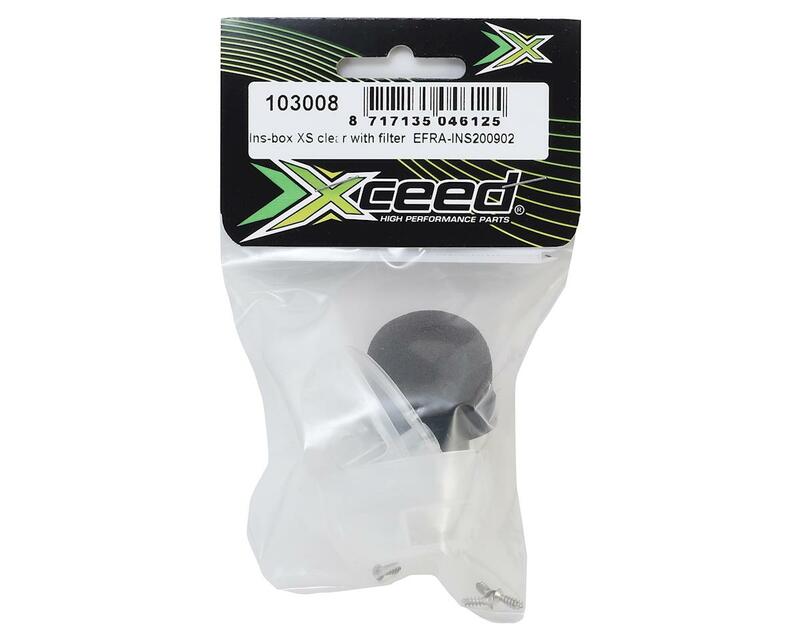 This is the Xceed RC 15mm Ins-Box XS Clear Airfilter Box with filter. 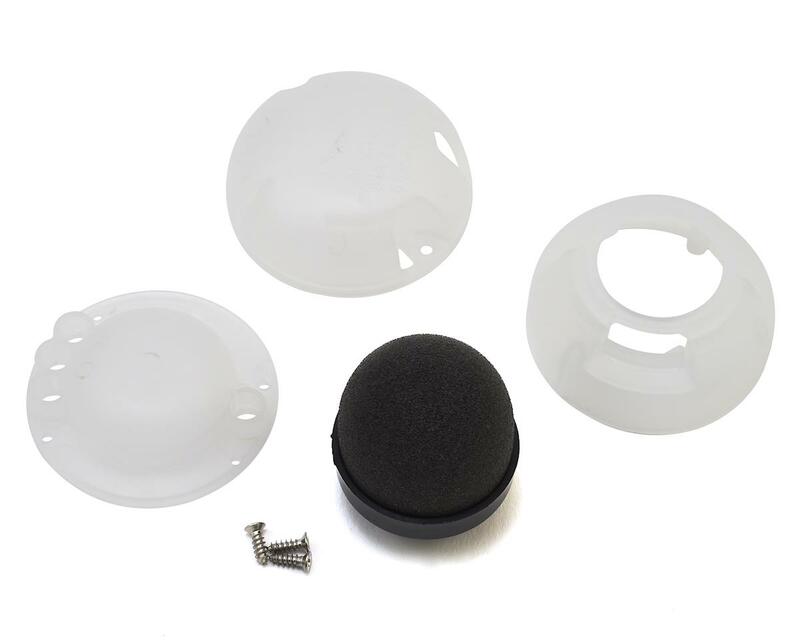 This filter reduces noise level without loosing horsepower! Fits all engines and reduces drag in 1/8 scale open cockpit cars, due to smaller size. Fits below most commonly used touring car bodies in 1/10. Mandatory for all 1/8 and 1/10 scale racing in Europe. IFMAR and EFRA approved. Fits engines with 15mm carb-intake. This is a small type INS-Box. INS-Induction noise silencer, clear version. Complete with high quality foam airfilter.